If you love memes, and love Star Trek, or just love Star Trek memes, you should check out Spock Is Not Impressed. And even though I am not Bruce Campbell, I had to ‘shop Spock into my own photo, and I’m still going to file it under AWESOME. 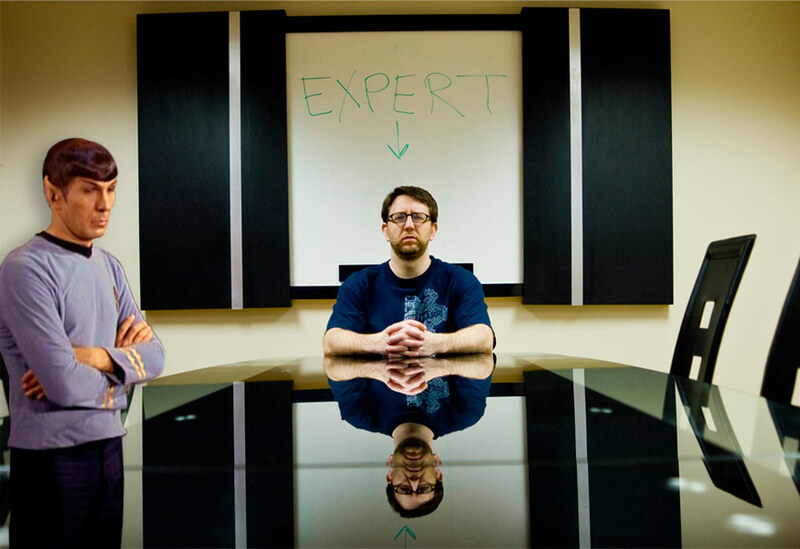 As we all know, an expert is just someone who knows more about a subject than you do… so with that said, if you know less than I do about the Egg-Bot, consider me your expert. At the Milwaukee Makerspace Grand Opening plenty of people had questions about the Egg-Bot, and I did my best to answer them. Here’s a quick rundown of some of the things I said, as well as what I’ve learned in the past few weeks. Don’t expect to pull Egg-Bot out of a box and plug it in, you have to build it first. It’s all just assembly, no soldering, but you will need some tools and the ability to follow directions and not lose very small parts. Set aside a few hours. I set aside 3 but was done and plotting eggs in less than 2, and I was even drinking while I assembled it, but I’m an expert. But hey, don’t let me scare you… I’m not trying to. 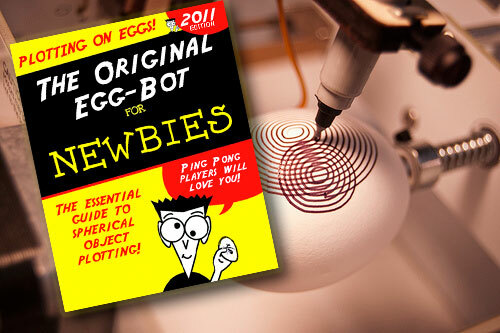 In fact, the Egg-Bot kit is not rocket science (that’s the Rocket-Bot kit) but it does require a bit of work. If doing some work before you have some fun doesn’t interest you, well, I can’t help you. There is a mailing list, and a wiki, and the folks at Evil Mad Science are awesome and helpful. So there’s that. And one more thing… I may not be an expert, but I’m willing to share what I know, so for the locals (meaning, near Milwaukee, Wisconsin) I joked about an “Egg-Bot User Group” when I met the other guy in town who has one, but since a few people thought that was a good idea, maybe we should arrange some demo or meeting or something? If you’re interested, get in touch with me, or leave a comment. 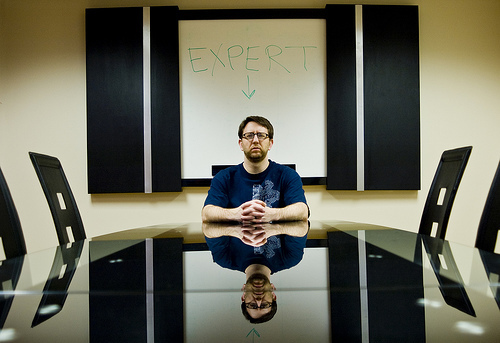 Everyone needs an expert…. I am that expert!